The Lego Car Blog Set Review Competition has just a few short weeks remaining! We’ve asked you, our readers, to join us to add even more LEGO sets to the Set Review Library, and those that made the grade have seen their words published here reaching over a million readers annually! If you’d like to add your own set to our Set Reviews and be in with a chance of winning some awesome prizes then get in touch via the comments – but be quick as the competition closes December 31st! 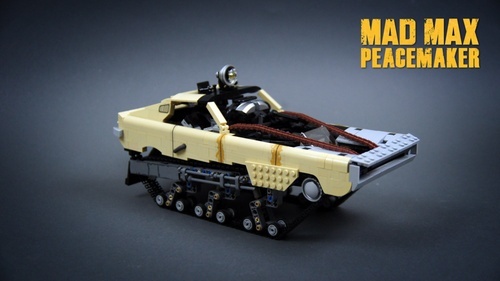 Still up for grabs are several superb Lego books from the great guys at No Starch Press, including the 5-star rated Tiny Lego Wonders, and the brilliant Manner-Spielzeug Mad Max Interceptor set, making a prize pot worth over $130! You can read all of the Set Reviews submitted so far, as well as those written by our in-house reviewers, by visiting The Lego Car Blog Set Review Library here, and we’ll announce the winner (based on a combination of views and a judges’ vote) in early 2017. TLCB Elves only like two types of movies; those with robots, explosions and car chases, and those with Megan Fox in. Handily the Transformers franchise provides them with all of this, but Mad Max is a fairly close second, despite the Megan Fox shaped hole in it. We haven’t let them watch the newest addition to the saga yet (the Elves are banned from our local cinema due a series of unfortunate incidents), but the late ’70s original and its ’80s sequel are regular fodder for the old TV/VHS combo situated in their cage room. 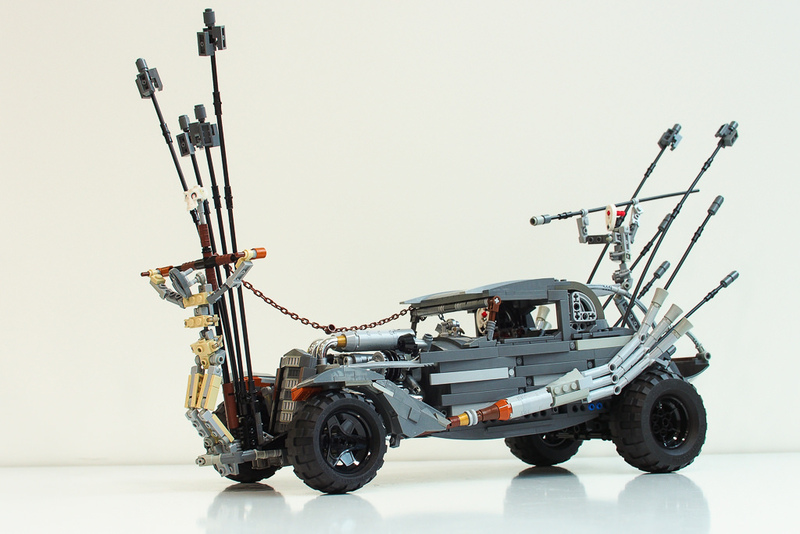 But only once they’ve brought a Mad Max creation back for us to blog of course. Today one Elf has been fed and lots more are happily cheering and whooping at the TV downstairs, because this most excellent Mad Max creation was brought into the office. 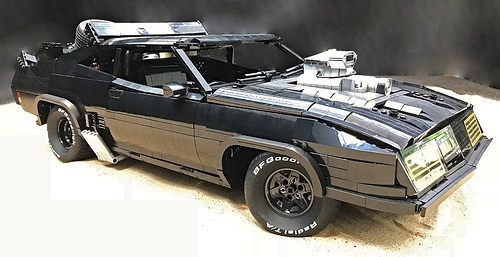 Hailing from the early original movies, Paave’s V8 Interceptor ‘Pursuit Special’ features Buggy Motor propulsion, a servo for steering, an on-board Li-Po battery, working suspension, and a whirling supercharger pulley. 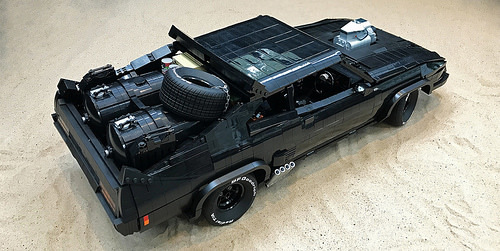 There’s more to see of his brilliant creation on both MOCpages and Eurobricks – click the links to make the jump. There are a few vehicles that you don’t want to see looming in your rearview mirror. 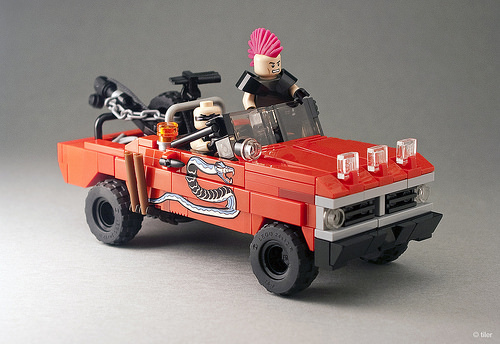 If you’re Mad Max, the first of today’s two creations is one of them; the lead chase car in Mad Max 2 ‘The Road Warrior’. As it turns out, it doesn’t end well for the pink-mowhawked maniac riding in the convertible truck, but Max doesn’t fare much better either. 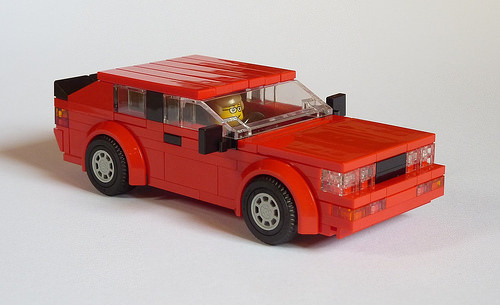 This excellent mini-figure version of the car from the 1981 movie comes from TLCB regular _Tiler, and there’s more to see at his Flickr Photostream. Today’s second creation is a from a brand that we’re all used to seeing in our rearview mirror, two feet from our rear bumper, being driven by a sunglasses-wearing douchebag who really must get to that next meeting asap. Yes, Audi have become the manufacturer of choice for tailgating muppets everywhere, but there was a time when Audi’s class of driver was altogether different. Coincidentally it was back in the ’80s when Max was being terrorised by the vehicle above, and Audi stood for understated excellence. It was the car below that really put the brand on the map, and – unfortunately – went a long way in adding Audi to the buying lists of the aforementioned clientele. It is of course the legendary early ’80s quattro with a small ‘q’. 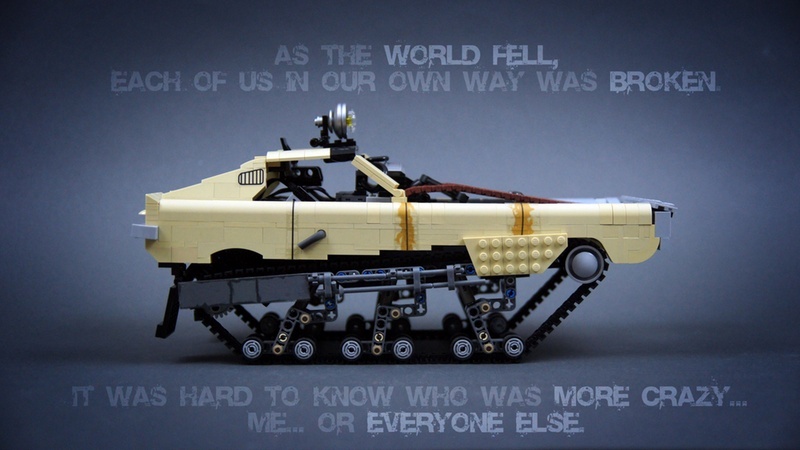 This neat Lego version has been built by Ben, and is available to view on Flickr.